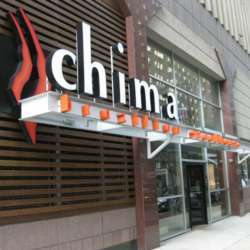 Join us for our February InterNations Official Event at the bar of the Chima Steakhouse. Live music provided. Happy hour pricing for drinks and food for the entire event for our group (with wrist band provided at check in). Great ambiance and as always, great company of internationally minded people await you. Please make sure that you sign up for the event/cancel if you can't make it. Sign up numbers are given to the venue and help the venue to plan for the event (number of wait staff). For check in bring cash and have your QR code ready to be scanned when checking in. It will ensure a speedy check in process. Thank you!